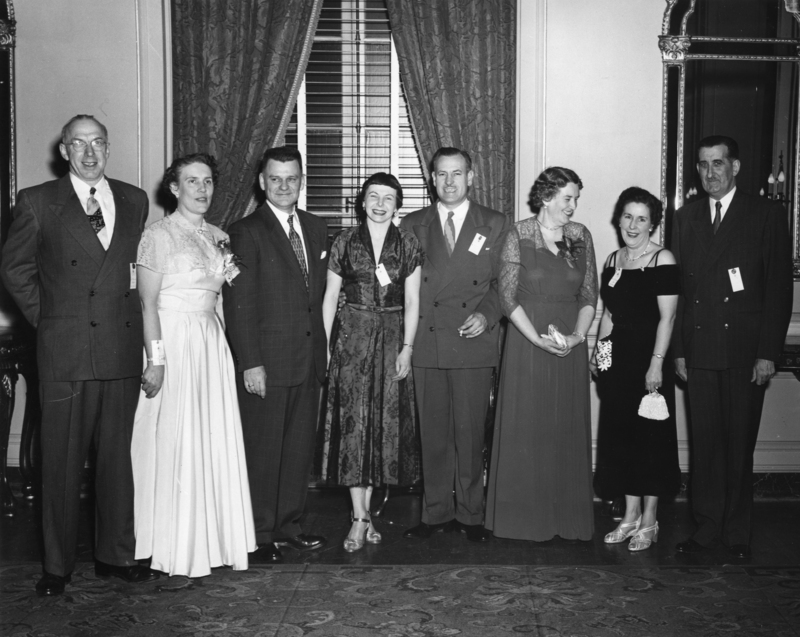 Item is a photograph of pioneers at the 1955 T.E.A. 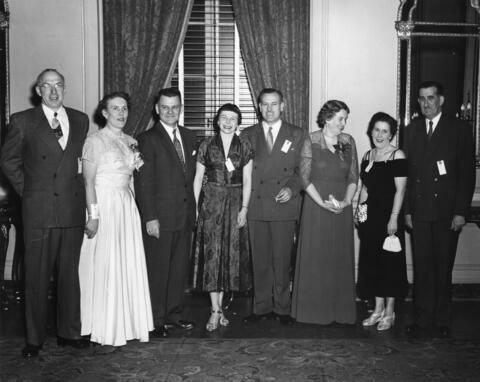 dinner and dance, held at the Nova Scotian Hotel in Halifax, Nova Scotia. Left to right: T.A. Bowman; Mrs. T.A. Bowman; C.R. Ormiston; Mrs. J. Evans; J. Evans; Mrs. M.L. Woodside; Mrs. C.R. Ormiston; and M.L. Woodside. The photograph was taken by Henry Hill.